A “Job Opportunities” Scheme has been developed under the “Young Professionals Programme” by leveraging the “Business and Professionals Programme” in partnership with a range of organizations across industry sectors. This scheme aims to help students, graduates, young professionals, experienced professionals and returners the opportunity to improve their employment prospects and to encourage greater socio-economic diversity within different industry sectors. At the same time, this scheme also benefits our partners and potential employers by providing them access to talented candidates from a diverse range of backgrounds across industry sectors and helps them meet their diversity targets. The “Job Opportunities” are merit-based, available at different locations and on different compensation basis which will need to be confirmed with the organization providing the specific “Job Opportunity” during the application process (please refer to the section “How to I apply” below for details). We will update the “Job Opportunities” on this page on a monthly basis and candidates will need to apply before the deadline for each opportunity directly to the organization (please refer to the section “How do I apply” below). Please note that these opportunities are only available to members of the British Pakistan Foundation and to find out more about how to become a member, please visit the “Join Us” page. This position is to support the CEO and Finance & Operations Manager to manage MAITS projects and grants. We have a small team with very diverse backgrounds but mutual interest in the development sector. Our team is always ready to go an extra mile to make best possible use of the available resources to support the MAITS vision. A person with similar focus and enthusiasm will be most suitable for the role. This position offers flexible working hours across the week and a friendly and dynamic working environment. For more information concerning the position, click here. Interested candidates can submit their CVs and cover letter to info@maits.org.uk. Please feel free to contact if you require any further information. Roles will be available from March 2019 and onward. As part of the National Curriculum Test development, there is a group who review test materials from a representation, diversity and inclusion perspective. A procurement process is about to start to identify people / organisations who have some knowledge, expertise and / or prior experience of promoting inclusion and diversity. Seafresh/Adams group are seeking motivated & ambitious candidates to become part our core team as the Branch Manager for the Nottingham Depot. You will manage & develop new revenue streams within the Depot & the surrounding areas, you will also help develop new &existing branches. Work with company standards, H&S and Quality. Skills in this area would be an advantage. A law firm based in London, Mishcon de Reya services, an international community of clients and provides advice in situations where the constraints of geography often do not apply. The work we undertake is cross-border, multi-jurisdictional and complex. They are opening up applications for their Spring and Summer Graduate Schemes. Applications are from 1st of October until 15th of January 2019.The earlier you apply the better. Find out more and apply here: https://www.mishcon.com/graduates. 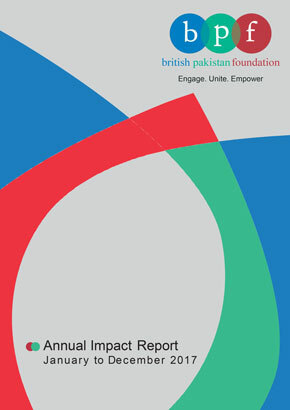 The scheme is open to all Members of the British Pakistan Foundation who are undergraduates, graduates, post graduates, young professionals, experienced professionals and returners (who are returning to work from a career break). Please send your CV and Cover Letter stating the specific “Job Opportunity” and “referring BPF” to the key contact person for the individual job opportunity (provided above) before the deadline for each job opportunity (provided above). The candidate must keep the BPF Office informed of progress. If you have any further questions about how the scheme operates, please contact the BPF Office on info@bpfuk.org.